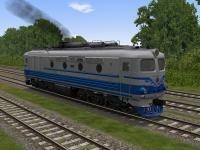 USING THIS DIESEL LOCOMOTIVE TEP10 ON ANY OTHER SITES WITHOUT PERMISSION OF AUTHORS AND ADMINISTRATORS IS PROHIBITED! ATTENTION! FOR CORRECT USING OF THIS LOCOMOTIVE YOU NEED TO DOWNLOAD CABVIEW 1 FOR TE10/TEP10/2TE10 AND SOUNDS FOR TE10! IT'S NECESSERY USING TE10, TEP10 AND 2TE10 LOCOMOTIVES! ATTENTION! FOR CORRECT USING OF THIS DIESEL LOCO YOU NEED TO DOWNLOAD CABVIEW FOR TEP10 SOUNDS FOR TE10! ATTENTION! FOR CORRECT USING OF THIS DISEL LOCO YOU NEED TO DOWNLOAD CABVIEW AND SOUNDS FOR TEP10!